BidgeSimulators is please to be able to provide three distinct gaming experiences. If you have a specific game you'd like to see at your event just let us know, otherwise based on discussions with you we'll make a recommendation as to what games we think will best meet your needs. All of our games support DMX lighting which can be provided upon request. Basic Bridge: Four 20"+ Touch Screens and one 96" (7ft wide) main view screen. Deluxe Bridge: Eight or more 20"+ Touch Screens and three 96" (21ft wide) main view screen. BridgeSimulators brings all of its own network equipment, power cables, DMX lights, and other equipment deemed necessary for an event. In some cases we even bring tents and tables. Many of the events we attend have celebrities. With this in mind we've developed Celebrity Game Missions specifically for Artemis and Horizons. Events who wish to utilize this service can coordinate with us to have a celebrity be the Captain, the event raffles off or sell seats to the bridge. BridgeSimulators will ensure the celebrity and the crew have a smooth and unforgetable experience. Contact us for more details. Tournaments are another great activity popular at many events. If an event desires to have a tournament setup there are many possible combinations. Starship Horizons provides a scoring system perfect for a tournament evnironment. Starship Horizons is unqiue in that it has a high level of customization available. As a result we've been able to develop a Lazer Tag Experience. 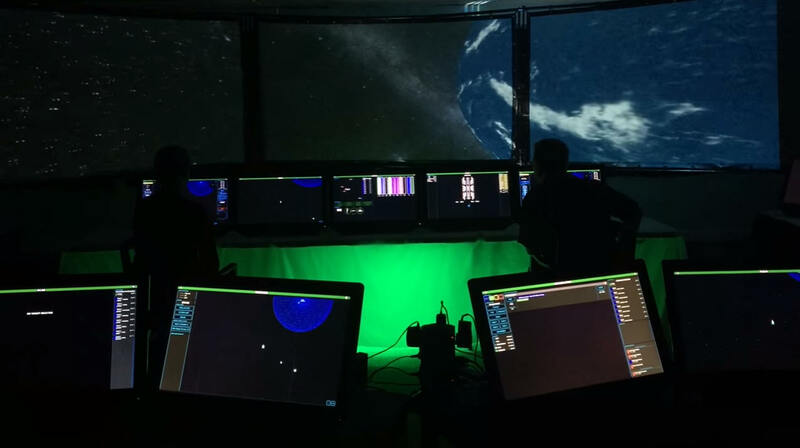 This allows us to host special events where players can be "Ground Troops" or "Away Teams" and the actions of those playing lazer tag will have an impact on the bridge crews in the spaceship simulator. Let us know if you would like more information about having the Lazer Tag Experience included at your event.